Welcome to A Voice Crying Ministries. Through "A Voice Crying Ministries", Bishop Clifton Jones continues to share the Word of God with the World. 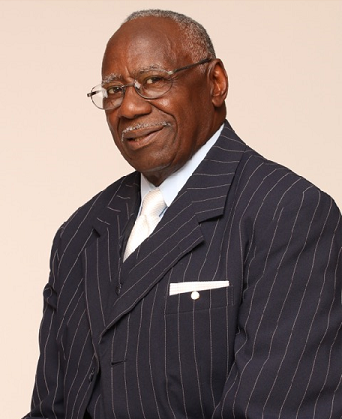 Bishop Clifton Jones was the former Pastor of the Jerusalem Temple Church in Philadelphia, MS for over 40 years. He is the Diocesan Bishop of the 10th Episcopal District of the Pentecostal Assemblies Of The World Inc. Bishop Jones is an anointed preacher, inspired teacher and a prolific writer. Bishop Jones has carried the Word of God throughout the United States and into numerous foreign countries; He has also played a major role in the organizing of several churches throughout the State of Mississippi. Bishop Jones' ministry has been effective both inside the "four walls" and outside. He has a gift for outreach; He has conducted many tent revivals over the years and open air meetings that drew many souls to the Lord. Though now retired from the Pastorate, Bishop Clifton Jones is yet highly sought after for speaking engagements. In this End-Time Generation, Bishop Clifton Jones continues to CRY OUT! !